The second release of Sphinx comes in a slightly lighter color scheme and does not include the bonus parachute. 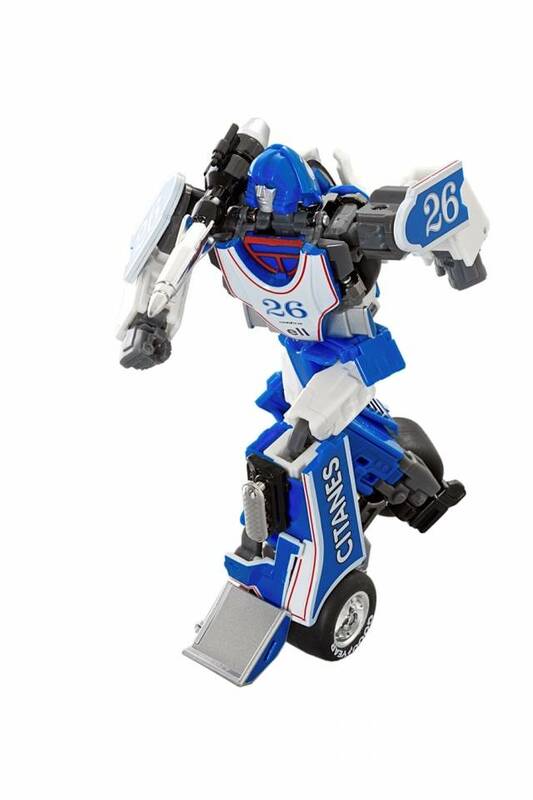 Features: Die cast parts, Realistic racing car mode, Bot height: 6.5" (16.5cm) from feet to head, super articulated. Note: Parachute is not included in this version of Sphinx. 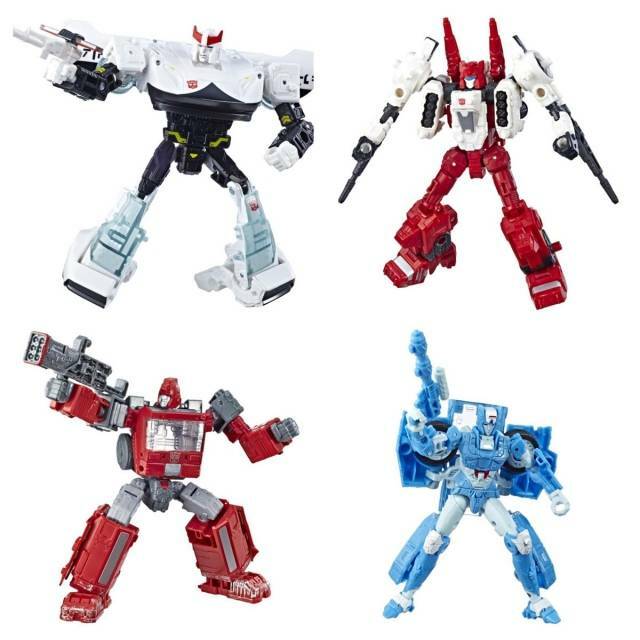 Note: Price increase reflects the increased cost TFSource had to pay to acquire these pieces on the secondary market as the manufacturer no longer has stock available. What can I say about this that hasn't already been said. This is an amazing figure. Great articulation, accuracy, fairly easy transformation for a third party. If you need a mirage figure in your collection. This is the one to get. I have few complaints about this figure. I don't like how the front end wheels collapse with pressure. Other than that its worth 5 stars. I am very impressed by this toy. His joints are solid and teh look in hand is amazing. I really did not think that I was going to like him very much, and that he would just be a place holder on my shelf. Instead, I got a top quality figure. 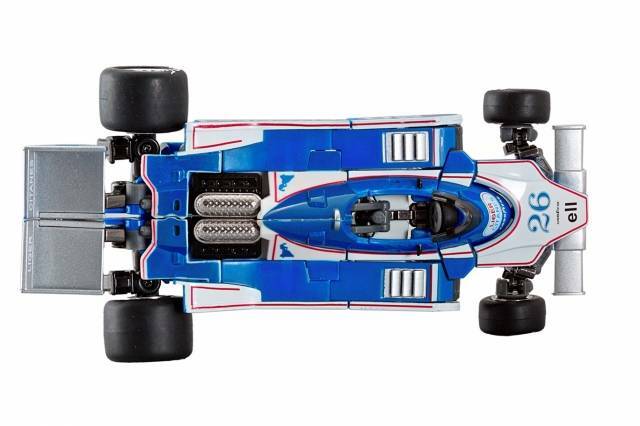 I have heard about some issues in the original release (loose front wheels, some tolerance problems). These have all been fixed in this edition. Some people don't like the panels on the arms, but to me they look like spaulders from a suit of armor, so I kind of like them (positioning them like armor plates. he has excellent weight, great paint and no glaring problems. I am very happy with this purchase. This is actually my second of the same figure. Had to have a second one. Quality is amazing. Weight and stiffness are awesome. Transform is fun and the figure is seriously pose able. Mirage was not one of my top favorites as a kid. Getting this toy catapulted him into my top 5, easily. Car mode is amazing. I normally have all figures in bot mode but after getting this, I changed my tune. Yeah, I love it that much. It rolls smooth, unlike many car bots out there, and has a nice heft to it. Transformation was simple. In fact this was one of the few times that I had absolutely no need for instructions, though still slightly tricky at a few areas. Bot mode is as amazing as car mode. Looks very G1. The color seems spot on and it is very poseable. Has/Tak has serious competition on this guy. PS-01A has a slightly lighter color Blue then the original PS-01. That said, it is more G1 Accurate in that regard. It doesn't have the Parachute assessor that came with the original, but not too many folks would be displaying this figure with it...and its more an item that would stay in the box. 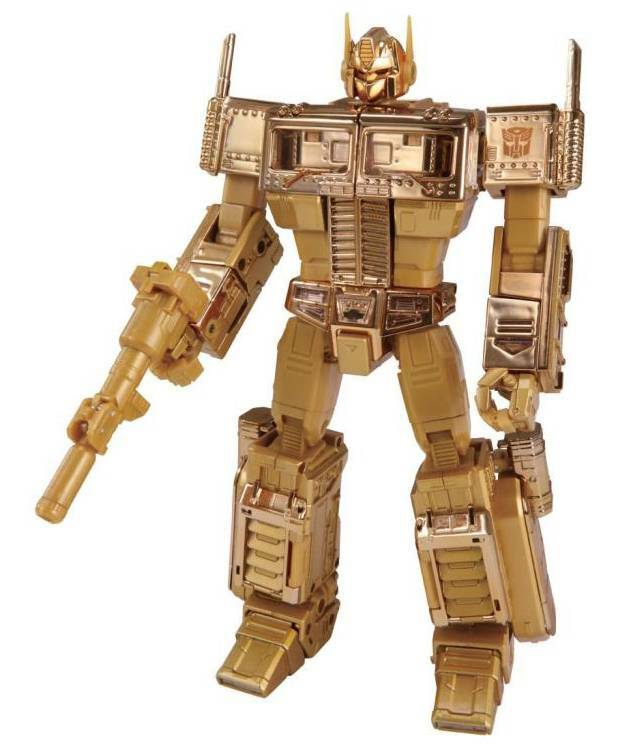 Focusing on the figure, you get a Masterpiece scaled Mirage that is the most accurate G1 Cartoon figure available. 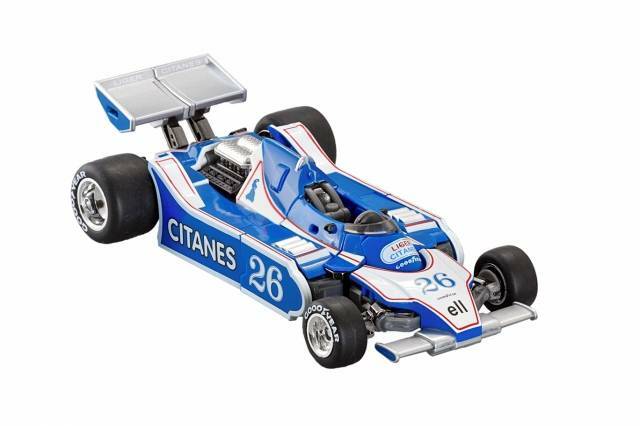 The only issue that I see that is inaccurate is the Citanes written on the side of the Car Mode, which should read Gitanes, and the tires read Goooyear instead of Goodyear, but these are intentionally miss spelled due to Licensing issues. All in all, you can't get a better Mirage on the current market. 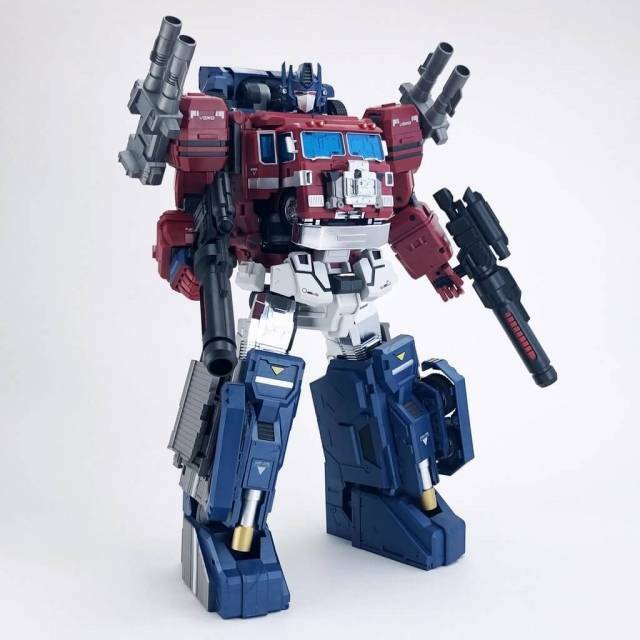 The price is going up on this guy now that PS-01 is no longer in production, so get yours while you can at a decent price. This is no Mirage....or IS it?!?! I really love how this guy looks for the most part. Although mine had a few paint mishaps. Like the chest flap had some red that that was blotched and some that wasn't put on enough. Another spot had some red which was on the back of the legs for some reason but it was quite minor. Other spots were not as noticeable or as big of an issue for me. How ever some of the tolerances like trying to take the back of the head off for the cleaner no logo look is just WAY TOO difficult and I think most will agree with that. My sliders for the arms were super tight I had to wiggle it for two minutes just to get them into place. 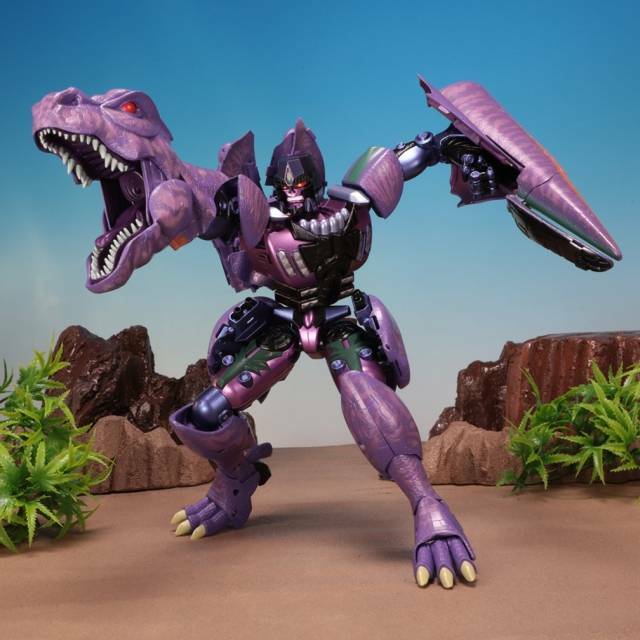 But aside from that this guy will be the best MP Mirage we will see in for a long darn time. This is such an awesome figure! I've had a blast transforming him back and forth, and have had no quality issues at all. I was originally worried the blue would be too light, but the color is just perfect. The pictures make it look lighter than it is. Very sturdy, incredibly poseable. A very fun figure with a lot of character! They will have a tough time topping Sphinx if Takara ever makes a Mirage Masterpiece. A really great figure! Lots of diecast, feels good and solid in your hand. 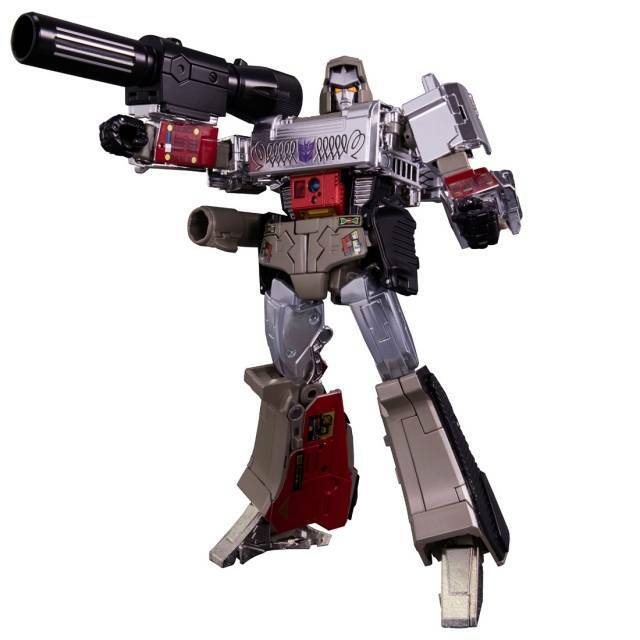 My only nitpick would just be the shoulder cannon could be a little higher up so you could adjust it. I was Nostalgic with this guy being he was the first transformer I ever owned. He was awesome and a pleasant surprise MMC Ocular Maxx line started off great for me here and I will continue to stay with these guys if this is the caliber of figure they continue to put out showing love to the characters that for some reason aren't being made by the main line yet if ever. These people make has/tak look bad, seriously. The only thing off on the whole figure is the forearm/ hand mechanic that doesn't stay in place. Got nostalgic while transforming this awesome guy! This figure is solid! Good plastic and diecast parts as well. It is so well engineered that it nearly transforms itself. This is better than Takara quality. Very Nice! Worth the buy. Trust me! I already had invisible. After months of procrastinating and watching reviews and positive claims, I pulled the Buy Now trigger. Glad I did! Also glad I got the second version (lighter blue) which fixes issues from the first release. This is the first time i have bought an MM figure and i usually don't care for Race car transformers. This guy looks great and fits in with the MP line really well. The Transformation is good but not to complex. The only thing that bummed me was my little holodriver came without head. But the figure itself was worth the purchase. ... but everyone already knows this. As for the "lighter" shade of blue, I was hoping it'd be the baby blue color that's currently fashionable with sports cars. 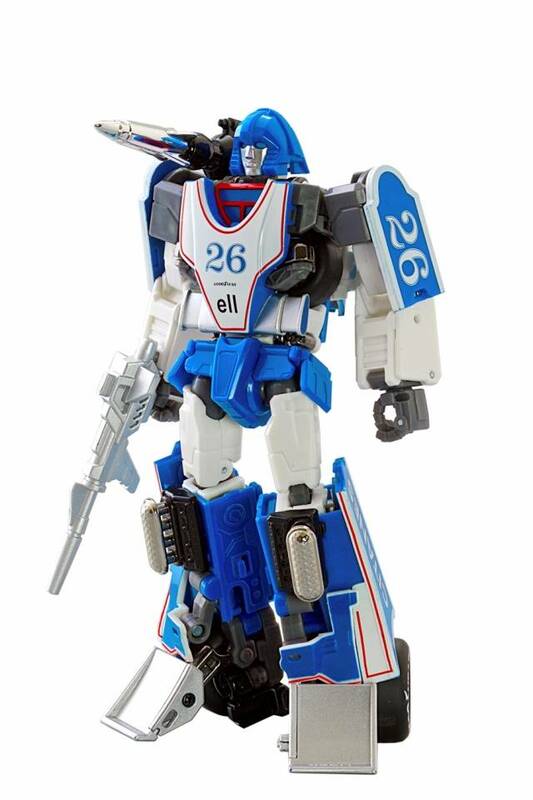 But the blue looks the same like on mp-smokescreen. I decided to give the alternate color version of this figure a try and I'm glad I did. I was hesitant, but it's not really as subdued as it appears in some of the pictures. Looks great on my shelve and is even better seeing it in hand than in pictures. beats official masterpeice by a long shot! I can not believe how amazing the quality is on this thing. A lot of hidden diecast in all the right places which makes him very sturdy and hefty. the plastic is really thick except on the panels but they seem to be designed to flex. the transformation is the right amount of complex to be fun and the articulation is just wow....hard to put down lol the little parachute is cool addition but I can take or leave it. has all the sponsers perfectly tampographed and his robot is so cartoon accurate its scary. By far my favorite masterpiece figure to date. Takara doesn't have anything on this guy. my only complaints would be that the rubber tires attract dirt and dust very easy I clean it about once a week to keep em shiny and the face swap is scary difficult so if you switch his face leave it! I keep the smiling one on mine cause I think it just adds to the character a lot. he really looks good with official MP cars and depending how you retract the multiple neck joints hes about a head taller than MP Prowl. But I highly reccomed Mirage. 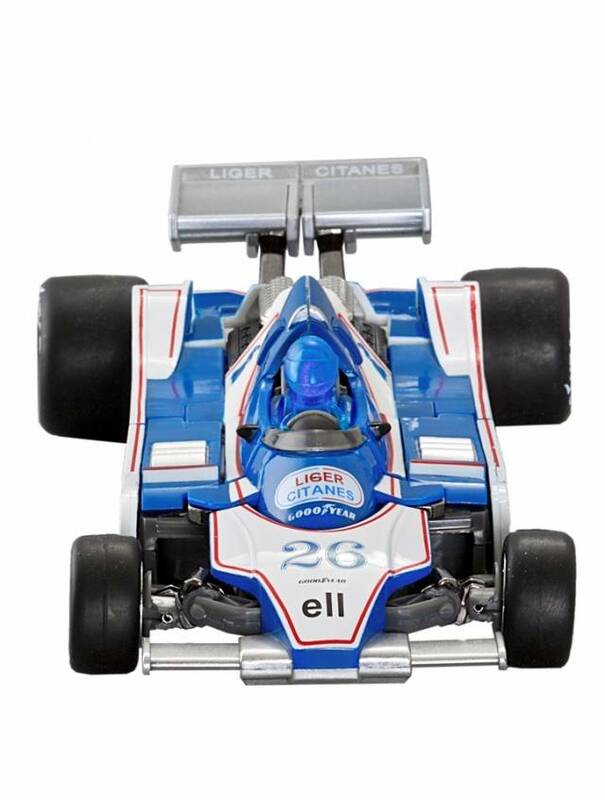 its the best mirage I think we will ever get because I can not see anyone beating it even fans toys. I was a little skeptical about buying this 'Mirage' because of 3rd party...but I am very impressed by the quality and articulation. (robot mode)- shoulder missile cant rotate up or down because of where it mounts. Absolutely worth buying. I will get the second version because I like it so much. Best damn engineering of a masterpiece to date. I didn't know what to expect when I received this guy in the mail. But I knew that he was the best looking mirage for the masterpiece scale and that was it. When I finally took him out the package I was able to transform him from car to bot without looking at instructions. I'd seen video reviews on him already. Hands down this guy feels so damn solid. His parts are die cast and plastic. 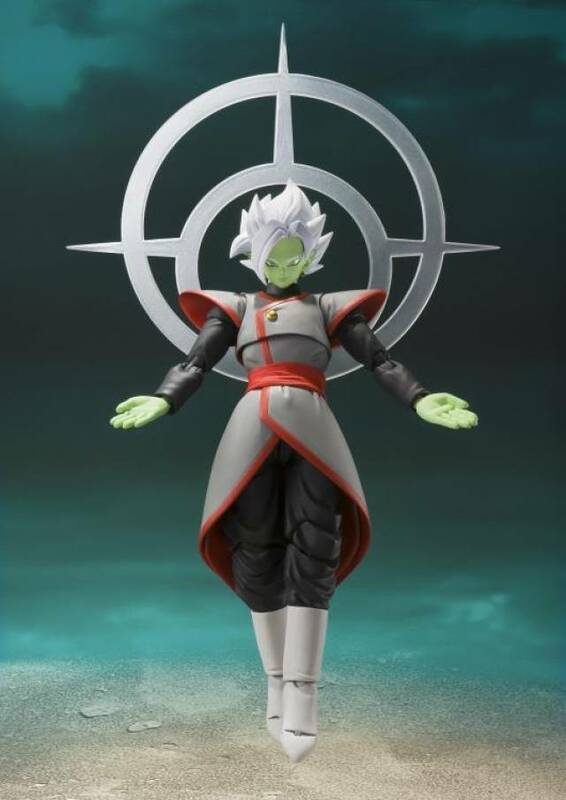 His possibility is the benchmark for all master piece figures. His joints are smooth and not loud by annoying clicks. I mean his stance, silhouette, g1 characteristics are the benchmark every g1 masterpiece figure should mirrow. I never liked it when companies made a g1 character more bulky than they appeared to ever be in the show or if a company just messes around with the over all shape of a character. Sphinx screams g1 all over him. From his legs shape to his smirky grin on his face and also little to no kibble on this guy. Everything fits. And his transformation is fun. Speaking of I'm not liking forward to copula when I he arrives in my mail. But hats another story. Get this guy. I bought him off of eBay after not finding him on tfsource website, only to find out that the one I bought on eBay was being sold by tfsource. 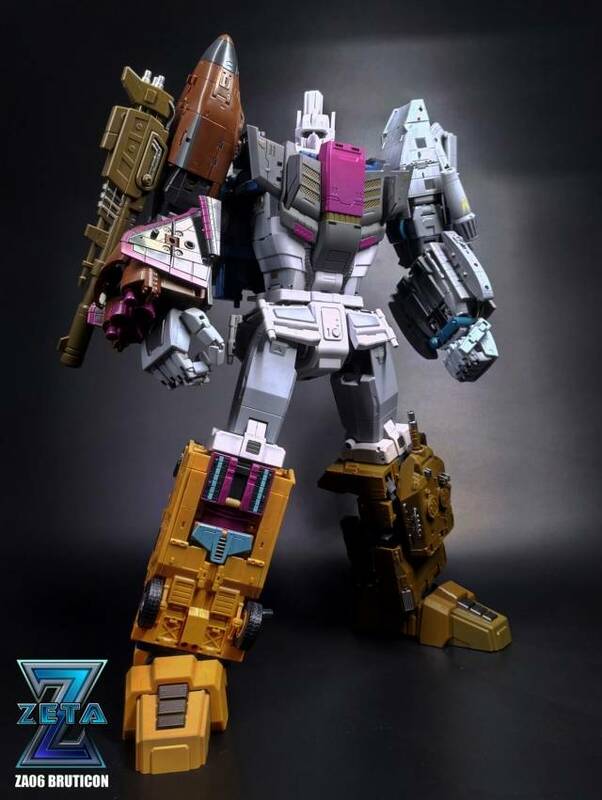 This is all within 12 hours of tfsoucre being out of stock and be finding it on eBay. I paid $10 more too which I think is a rip off. Anyways sold my invisible for $55 right after. Best g1 masterpiece figure to date. Even better than mp10. Solely based of the engineering. 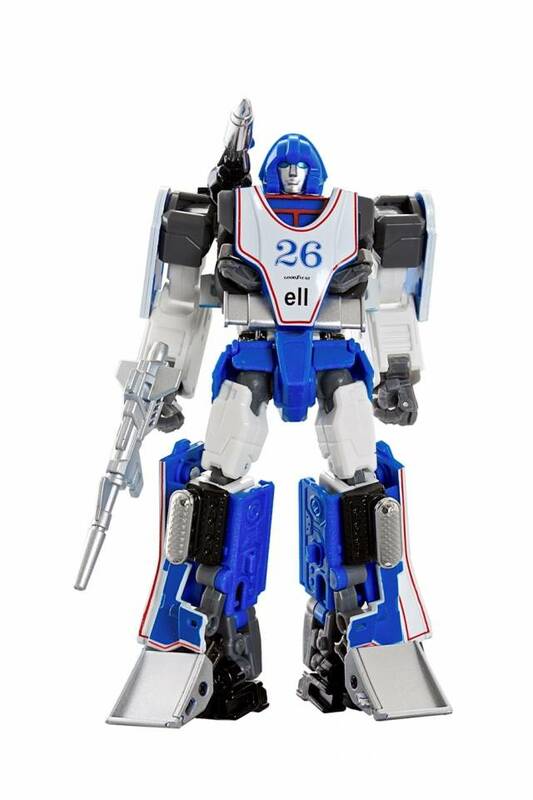 One of my first transformers was Mirage and to see this finally come out or be made, awesome! He looks great with the rest of my MP's. Great job to Mastermind Creation.